A federal judge rules that the governor isn't allowed to withhold the federal funds in a dispute with regional agencies over how they spend the money. AUGUSTA — A federal judge ordered the LePage administration on Wednesday to release several million dollars in workforce development funds to a Brunswick nonprofit that alleged the administration illegally withheld the federal money. U.S. District Court Judge John Woodcock ruled that the law’s language is “mandatory and clear” that a governor must release money to regional boards that oversee job training and workforce development programs within 30 days of when the U.S. Department of Labor makes it available. Woodcock also agreed that failure to release the funds could cause “irreparable harm” to Coastal Counties Workforce Inc., the nonprofit that administers federal job training programs in southern Maine. At stake is roughly $3 million that Coastal Counties contends the governor had refused to release as the administration tried to persuade Maine’s three regional workforce boards to adopt tougher job training requirements. “We hope that we are now able to move past this dispute and refocus our efforts on helping Maine workers and businesses,” Michael Bourret, executive director of Brunswick-based Coastal Counties Workforce, said in a written statement. Woodcock issued his decision a little more than two weeks after Coastal Counties and the LePage administration argued their cases in a Portland courtroom. Woodcock’s preliminary injunction ordered LePage to make available the $3 million, but the judge took no position on the administration’s underlying contention that Maine’s workforce board system is an inefficient and bloated bureaucracy. The LePage administration has, to date, refused to tap into program year 2017 funds awarded by the federal government to reimburse Coastal Counties for the services it provides to unemployed and under-employed Mainers. Coastal Counties has used leftover 2016 funds, but nonprofit officials warn that the agency will be forced to close sometime next year without additional money. 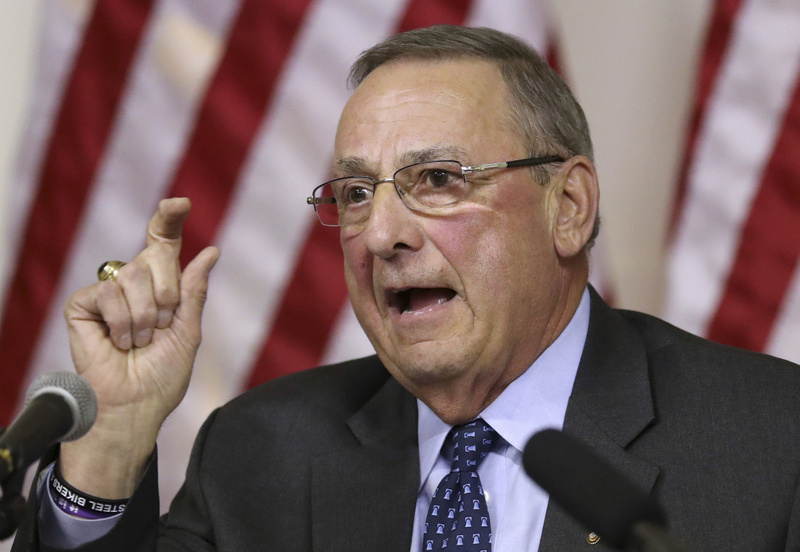 LePage has been fighting unsuccessfully for years to consolidate the three workforce boards into a single agency based in Augusta that he contends would spend less on administration and more on training programs. Representatives of the regional boards counter that individuals using their career centers often require counseling, educational assessment, skills development and other services that fall outside of LePage’s job training definition. The issue landed in the federal courts after the LePage administration indicated it would withhold reimbursements to the three boards. Arguing in the state’s defense during the Dec. 18 hearing, the Maine Attorney General’s Office said the LePage administration is entitled to include tougher job training policies in contracts with the three nonprofits that administer federal workforce funds statewide. As part of its latest contract with Coastal Counties, the administration had sought to require that 60 percent of federal funds be spent on job training programs, nearly double the current amount. But Coastal Counties – which administers the programs in York, Cumberland, Sagadahoc, Lincoln, Knox and Waldo counties – argued that federal law clearly requires governors to release funds within 30 days after they are made available to the state. The nonprofit also contended that LePage wrongly tried to use the contracts to force the regional boards to spend 60 percent of the federal funds on job training rather than through a formal state plan that is reviewed by the U.S. Department of Labor. In his 64-page decision, Woodcock rejected the state’s argument that it could withhold the money as part of the contract. While the governor can seek changes to the way money is spent, “his efforts at reform cannot be at the moment the funds are to be released,” Woodcock wrote. Woodcock ordered attorneys for the two sides to confer on the specifics of releasing the withheld funds before he issues a final order. The LePage administration could eventually appeal the decision to the 1st Circuit Court of Appeals, although Coastal Counties’ attorney said he hoped Woodcock’s order would end the issue. “I hope we are able to resolve this and go forward with the program as Congress imagined it,” said attorney Kelly McDonald.